Living Spaces Ltd Appointed as Exclusive Irish Partner to ISOLMANT/TECNASFALTI. The new year begins with a new partnership in the world of the acoustic insulation: Living Spaces Limited introduces in the Irish market the quality of the “made in Italy” product powered Isolmant. Living Spaces was established in 2003 and has been serving the Irish construction sector since. Initially supplying permanent canopies for large-scale residential construction projects, the company has evolved into supplying vital elements to the building sector. Holding exclusive agencies for multinational companies like Pauli in Germany, Kesmet/WIRA in Poland and RIW/Tilesafe in the UK, the company is ideally positioned to continue dealing with the booming construction and architecture sector across the 32 counties. Living Spaces are delighted to be appointed as the sole and exclusive partner to ISOLMANT across the island of Ireland. The soundproofing products are of exceptional standard and a perfect fit for the demanding Irish marketplace. The brand Isolmant, created by Tecnasfalti company, is now a synonym for sound insulation in Italy. Backed by over 40 years of activity, Tecnasfalti-Isolmant has become a point of reference for all the issues related to “acoustic and thermal solutions” on both the Italian and the international markets. Tecnasfalti-Isolmant support all players in the industry (firms, distributors, designers) by designing solutions and developing high end products in terms of quality standards, performance, system design and installation. 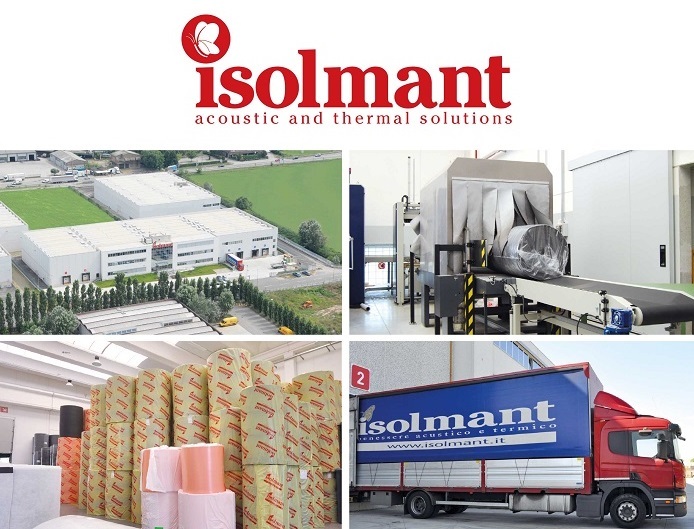 Niall Byrne, MD commented; “We are delighted to partner with such an excellent international company like ISOLMANT, and we look forward to working with our customers in delivering soundproofing solutions for the most demanding and effective building solutions possible”. Eugenio Canni Ferrari, CEO Isolmant, commented: “We have found in Living Spaces the perfect partner for quality and market penetration ability: Isolmant professional solutions plus Living Spaces local market knowledge and customer support. Together we can make a big difference”. Niall Byrne, Living Spaces Limited. Unit 713 Northwest Business Park, Kilshane Drive, Ballycoolin, D15. Previous PostNew All-in-One Wetroom Kits to Launch in May 2015.